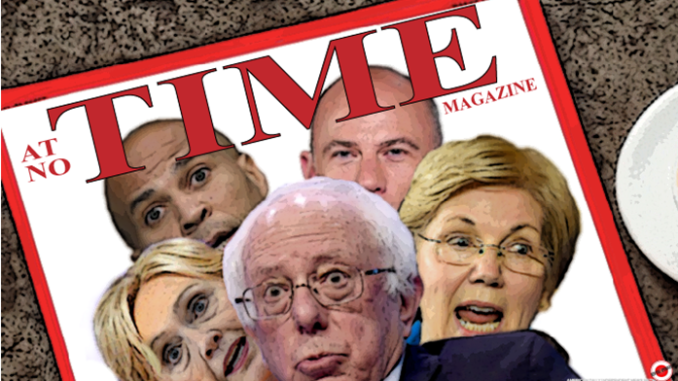 VOTE: WHO WILL BE THE 2020 DEMOCRATIC NOMINEE? We are just about one year away from the official commencement of the Democratic primaries. With the Iowa caucus projected to be the first major event of the contest and currently slated to take place on Feb. 3, Democratic hopefuls have 12 months to declare their intent to pursue the presidency. Hilary again… is there really any question at all as to who? Love the picture. Old white women, an old white man, and a token who did absolutely nothing for Newark and now he is spewing his hate for the country in congress. SSDD in the progressive party.